Many of the provisions of the Arizona Opioid Epidemic Act, or Senate Bill 1001, go into effect on April 26. Governor Ducey signed the law on January 26, just four days after a special session was held with unanimous support for passage of the landmark legislation to reduce overdoses and improve patient safety. For new prescriptions, there will be a dosage limit of 90 morphine milligram equivalents per day for patients who have not received an opioid prescription in past 60 days. There are exceptions and pathways for patients who would benefit from higher dosages of the medication. Those are just some of the provisions, and we know it can take time to understand how the new law applies to you whether you are receiving opioid medications or whether you are a health care provider. We do want to clarify that the new prescribing regulations are not intended to impact current chronic pain patients already receiving opioid medication. There is no legislation requiring providers to reduce opioid doses or stop prescriptions; medical management is left to the discretion of the provider. Providers have discretion over prescribing. Prescribers also are not required by these laws to prescribe opioids or provide the maximum length or available dosage. New rules went into effect March 6 for Opioid Prescribing and Treatment for licensed health 1care institutions. New rules went into effect on April 5 for continued reporting of suspected opioid overdoses, naloxone dispensed and administered and suspected cases of neonatal abstinence syndrome. 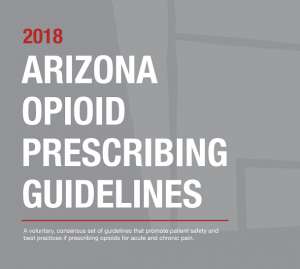 The Arizona Opioid Prescribing Guidelines are finalized and available at www.azhealth.gov/opioidprescribing. This voluntary, consensus document promotes patient safety and best practices if prescribing opioids for acute and chronic pain, and reflects a shift in pain care that avoids unnecessary exposure to opioids while addressing pain from a whole-person perspective. 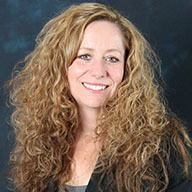 Healthcare providers can also request free printed guidelines online at www.azhealth.gov/OrderRxGuidelines. New training modules are available on how to use the Arizona Controlled Substances Prescription Monitoring Program. These are available online at the Arizona Board of Pharmacy site. View the CSPMP videos. New OARLine: Opioid Assistance + Referral Line for Arizona Providers: 1-888-688-4222 is available for health care clinicians to call for free consultation on patients with complex pain or opioid use disorder. 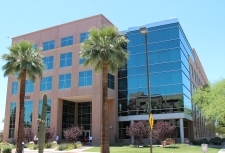 The 24/7 hotline is staffed by experts at the Poison and Drug Information Centers in Arizona. ADHS continues its important work providing naloxone kits to law enforcement agencies and other first responders. Agencies can request naloxone by completing the request form on the ADHS website. Much of the work in the Opioid Action Plan is scheduled to wrap up by the end of June. A health professions curriculum group is crafting to a common set of core competencies to enhance the education of the future healthcare workforce in the areas of pain management and substance use disorder. Workgroups on insurance parity and youth prevention will be making recommendations by the end of June. While the work is far from over, the combined forces of focused action, policy changes, and additional resources provide hope for turning the tide on the opioid crisis.